Waxing is a quick and inexpensive way to remove unwanted hair, but it doesn't always go as smoothly as you might hope. Sometimes -- especially if you are a beginner -- you manage to get the hair all yanked out, only to have little patches of leftover wax that are even harder to get rid of than the hair. Relax: Removing wax residue is not hard. You can remove leftover wax several different ways, none of them requiring a trip to the salon or the emergency room. Removing hair wax is a lot less painful than removing actual hair. Soak a clean washcloth in hot water. 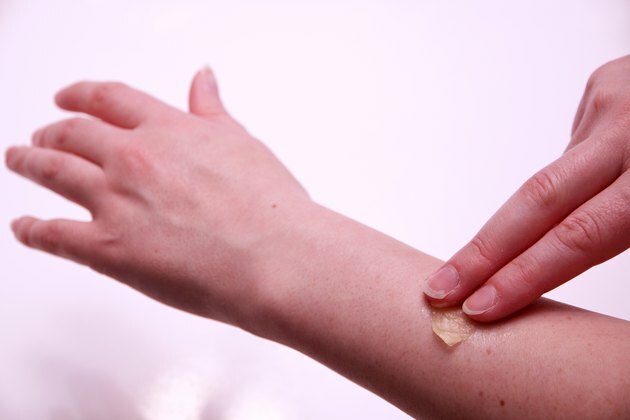 Be careful not to make it too hot because your skin is probably already a bit irritated from the hair removal process. Place the hot, wet cloth on the wax residue and let it sit for a minute. This should soften the wax enough for you to be able to wipe it off with the washcloth. Short scooping motions work best. Soak a cotton ball or cotton pad in olive oil, baby oil or mineral oil. Blot the leftover wax until it is thoroughly soaked with the oil. 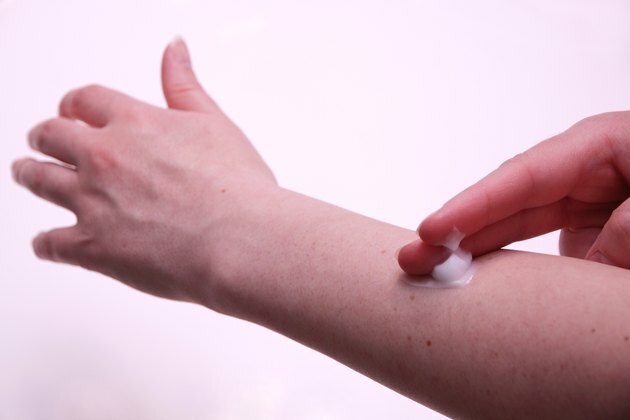 Oil tends to dissolve wax, and this method is very gentle on your skin. Wipe the wax away with cotton balls or pads. Apply a thick layer of petroleum jelly to the wax residue. This is a simple and less messy method for particularly hard to reach areas. Let it sit for two to three minutes, and then wipe it away with a cotton ball or pad, or hot, wet washcloth. 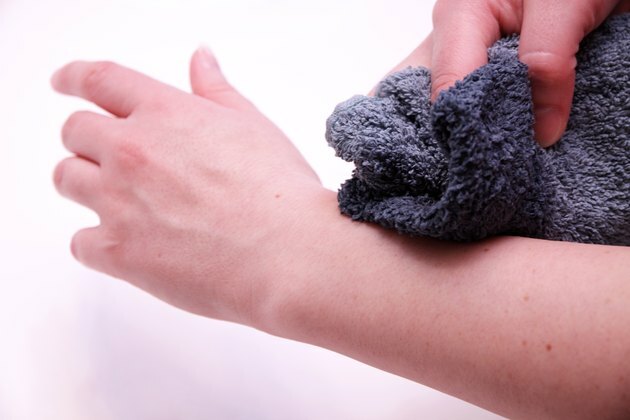 Use a drop or two of degreasing dish soap on a damp washcloth to clean off the petroleum jelly. Invest in a commercial wax remover if nothing else works. 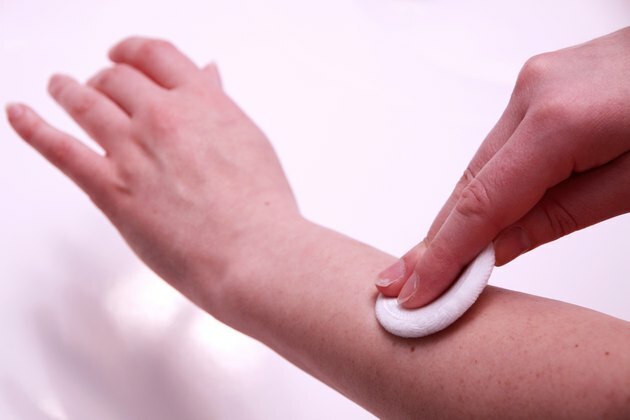 They are formulated to remove wax residue, and many contain skin softeners as well. Follow the directions on the bottle or jar to remove the wax. Try holding an ice cube on the wax residue for 20 to 30 seconds. This method works to remove wax from furniture and fabric, so it might make the wax brittle enough to flake off your skin. Never scrape at or try to peel off wax residue, because it can take some skin with it. Does Hair Eventually Stop Growing With Waxing?